An affordable, flexible, and personalised approach to learning English. 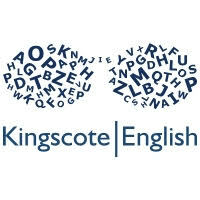 We are a small, friendly language school, offering English Language Lessons in South West London. We run General ESOL classes and lessons for students preparing to take an English exam, as well as sessions for people who simply want to improve their Pronunciation or general conversation skills. We are a specialist provider of courses for Au Pairs who need flexible and affordable classes that fit in with child care commitments. In addition, we hold regular Business English courses for professionals who want to progress in their career, including coaching to prepare for interviews and improving presentation skills. Our classes are small, with a maximum of 6 students in a class - this means there are more speaking opportunities and greater teacher contact time for participants plus everyone receives specific support and error correction. Moreover, we aim to make all our lessons from Beginners to Advanced level communicative, interactive and above all fun! Learning English should be a challenging but enjoyable experience. Accessible locations - our classes are held locally close to public transport links or with access to free parking. High Quality and Personalised lessons: We identify and agree what specific areas of English need to be practiced – whether it be to improve fluency in speaking, increase vocabulary, work on pronunciation or grammar. Specialists in Teaching Business English - Having a background of working within the corporate sector we can provide coaching and mentoring to enable you to unlock your full potential. 7/1/17, 10:39:48: Burcu: Thank you so much for everything!! You are an amazing person. You aren't just our teacher, you are our mentor. 7/1/17, 11:51:49: cristina Gómez Román: Thanks so much Jane!! You are the best teacher I have ever had. All English that I know, it thanks to you. Good luck and I hope to see you again.